Summer Savings- fun ideas and deals for San Diego families! Looking for inexpensive summer activities for your family to enjoy during these tough economic times? Visit Balboa Park and spend the day in the park or walk around and see the beautiful architecture. Come by on Tuesdays when locals receive free admission into the museums or stop by on Sundays and enjoy free public organ concerts. While in Balboa Park take advantage of discounts at the San Diego Zoo offers. Military members receive a free one-day pass and discounted pricing for their families. If you shop at Costco you can buy passes there for 1/3 off the price. Or if you’re a AAA member you receive 10% off admission tickets. Even on the tightest budget your family can experience a San Diego Padres game! Tickets start at 10 dollars apiece, and with a military ID you receive a 6-dollar discount per ticket. Spend a day in Tijuana. It’s free to cross the boarder and your family can experience a different culture, authentic food, Mexican history, and shopping. When going out to dinner look for the kids eat free option. On Tuesdays restaurants like Islands, Marie Calendar’s, Pat & Oscars, Roadhouse, and Anthony’s Fish Grotto let kids eat free. 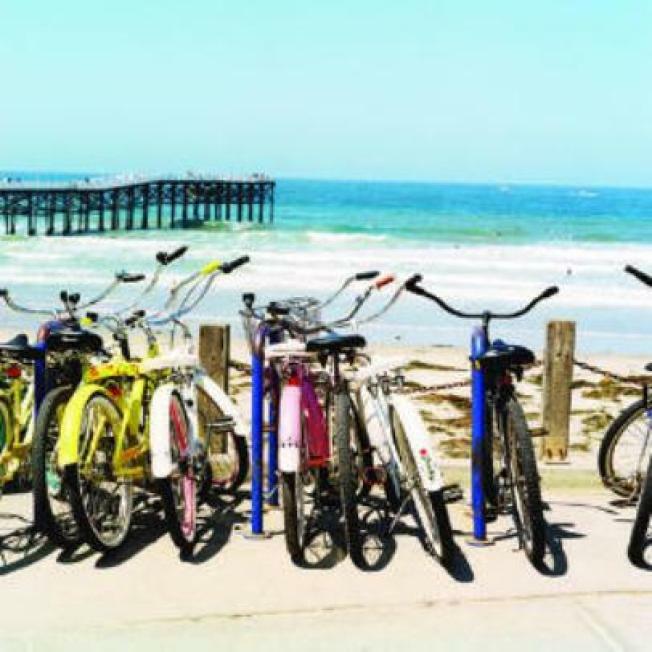 If you are looking for outdoor activities walk the shoreline trails, visit the Children’s Pool in La Jolla and witness the sunbathing sea lions or take advantage of your local beaches. Get your kids off the couch and outside this summer! Take the family to Mission Bay, relax on the beach or race through the waves on rented Jet Skis find more information at: http://www.sdjetski.com/jetskis.htm, https://www.seaforthboatrental.com/index.php/boat-rentals/waverunners.html Bring your bikes and ride along the shore trails along the Bay. More water fun at La Jolla Shores, try kayaking the 7 Sea Caves or snorkel and watch for Sea lions, Leopard Sharks and other marine life.